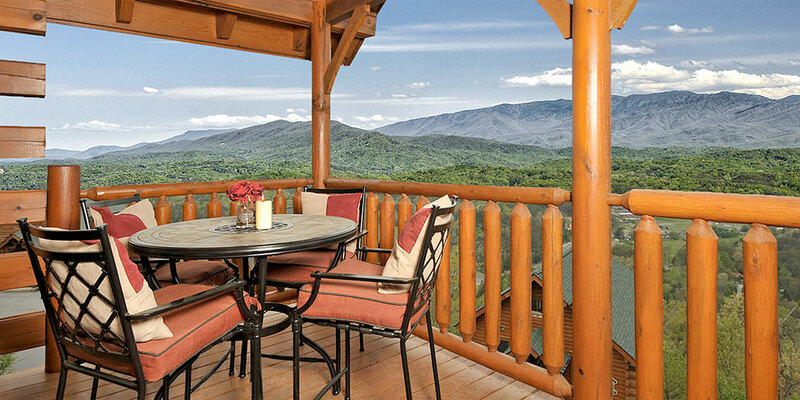 Whether it’s heart-thumping thrills, muscle-soothing relaxation, sweeping views of the Great Smoky Mountains, or more time with family and friends in a luxurious yet welcoming and homey atmosphere, “Our Smoky Mountain View” Cabin Rentals will leave you with a deep feeling of excitement and peace. 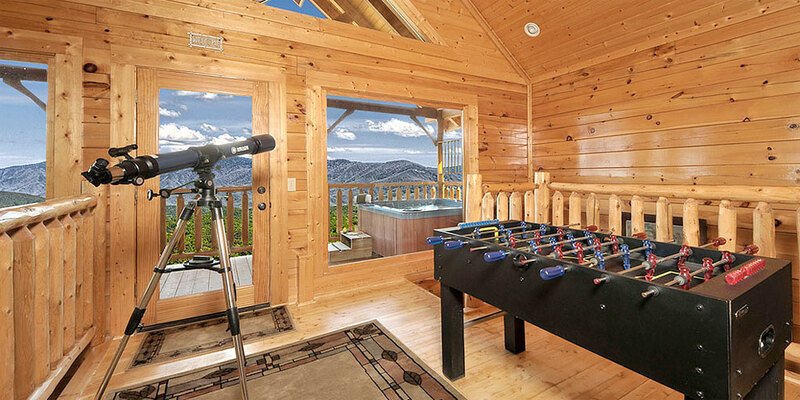 • Main level features an open floor plan with large glass windows to let the sunshine in. • Living room, dining room and king master suite on the main level have gleaming hardwood floors. 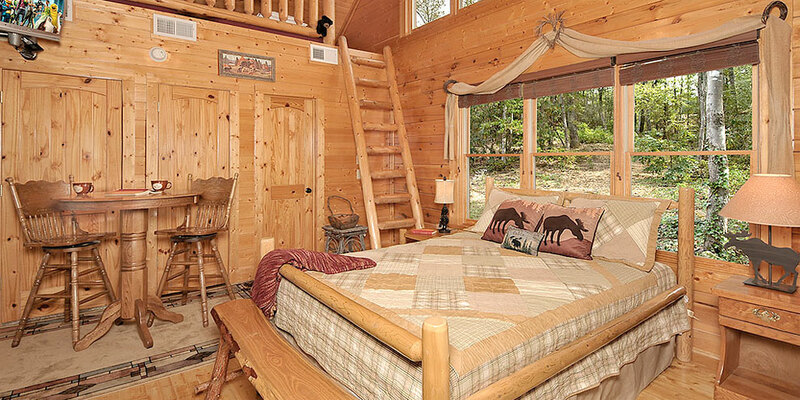 • Main level king master suite has its own private bath. • Full size galley style kitchen has stainless steel appliances, tile floors and everything you will need to prepare your meals - except the food. • Handsome dining room table has seating for six. 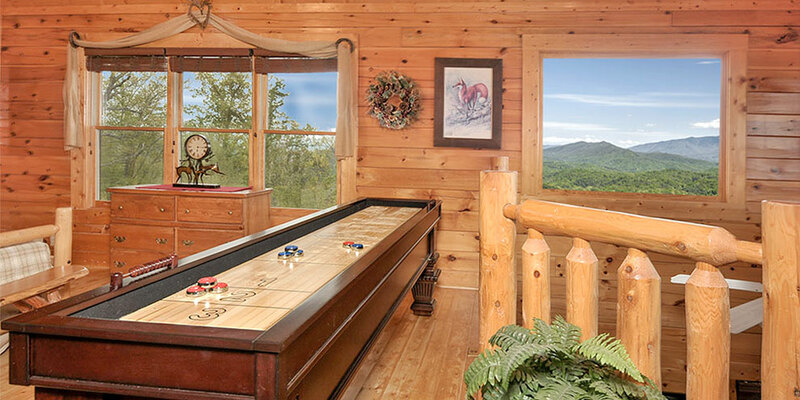 • Shuffleboard table on the upper level where the whole family can play and enjoy some quality time together. 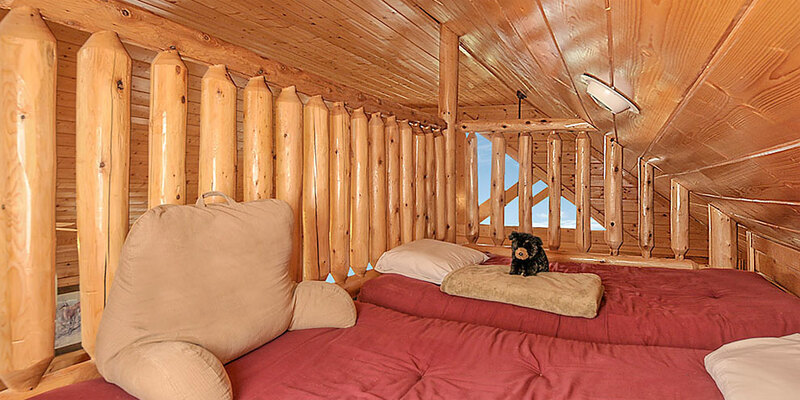 • Also on the upper level is a small children’s sleeping loft. Your children will enjoy having their own little space. 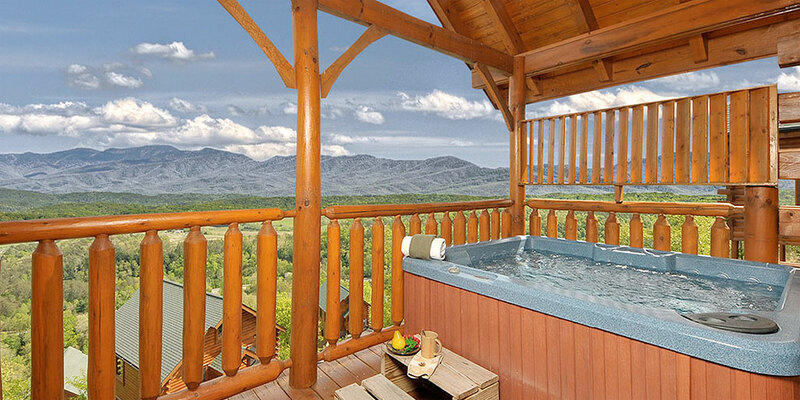 • The upper level deck has a hot tub overlooking those magnificent vistas. 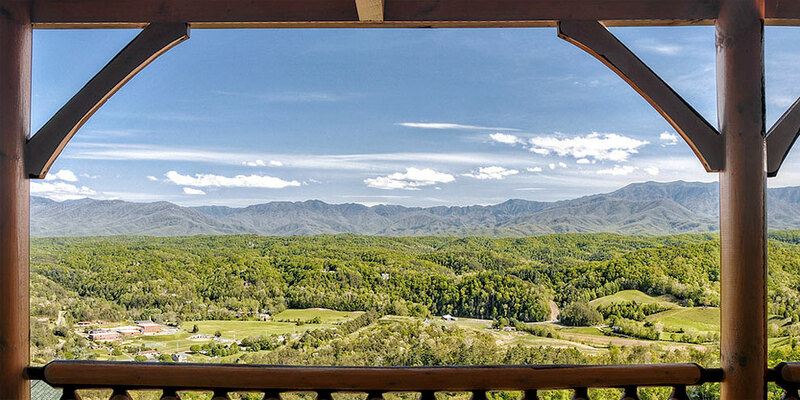 • Gaming TV on the upper level where your children can play some game boy cube and unwind after all of the activities in the Gatlinburg / Sevierville / Pigeon Forge area. 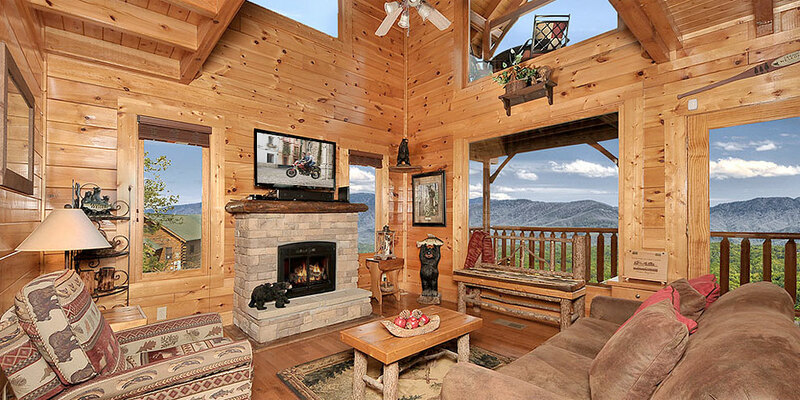 • This Luxury Cabin Rental is Pet Friendly!